When a half-ton pickup just won't do the trick, the 2017 Chevrolet Silverado 2500 HD and 3500 HD (Heavy Duty) are the go-to vehicles for those needing maximum towing and hauling abilities. A new Duramax diesel engine improves the Silverado HD's conventional tow ratings, although it still lags behind Ram and Ford when using a fifth-wheel setup. 2017 Chevrolet 2500 is great! I love my Chevy 2500. It gives me the capabilities that I need for work and pleasure. The Duramax diesel is like no other and gives you that sense of confidence knowing you'll never have any issues or breakdowns due to motor failure. The comfort level in the ltz model is once again like no other equipped with heated/cooled seats, adjustable pedals, and leather throughout the cabin, long distance travel is not an issue. My truck is very useful . I am proud to own it and it's totally worth it. My Silverado is double cab . So I really enjoy that extra space . I love the leather seats . I love the look but still want to get better wheels and a lift to make it look more like a monster truck . I like that I can use it for anything . For work , moving etc . I never have to worry about paying extra to get things delivered to me . It is a 7 inch lifted truck. I love the look and comments I get when driving it. It's a lifted truck. It does everything I need it to do and I love it great performance. Terrible on gas but a all around great truck. Fits my family of 3 growing into 4 perfectly. I use it to tow occasionally and I can barely feel the difference in driving when towing great all around vehicle. 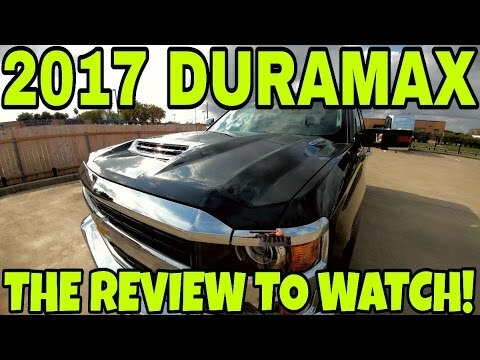 2017 Chevy 2500HD LTZ Duramax FULL REVIEW!